Kathy narrates and shares her stories, ideas and tools with passion and clarity. Lots of great ideas and encouragement to try new behaviors and practices to increase your confidence. Totally worth listening to. 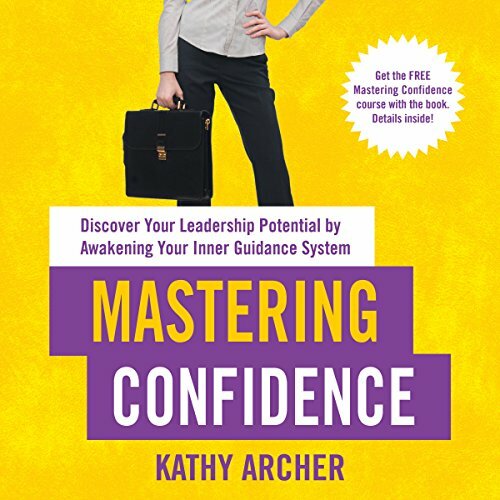 Kathy Archer's book on Mastering Confidence guides you through the process of retraining your mind with her inner guidance cycle. when I began reading the book I immediately had to deal with my own fears and insecurities. It was so helpful to me as I worked through the book and exercises that Kathy has also shared in my struggles and was able to provide personal examples and situations that I have also experienced in my life. The book takes you on a journey to learn who you are and why you value certain things in your life that I found interesting. Very encouraging and positive. I find that it is so relevant to me that now I want to go back and re-read the book and work on the exercises at a slower pace.